Prices do not include Snaps. Snaps sold separately at the bottom of this page. 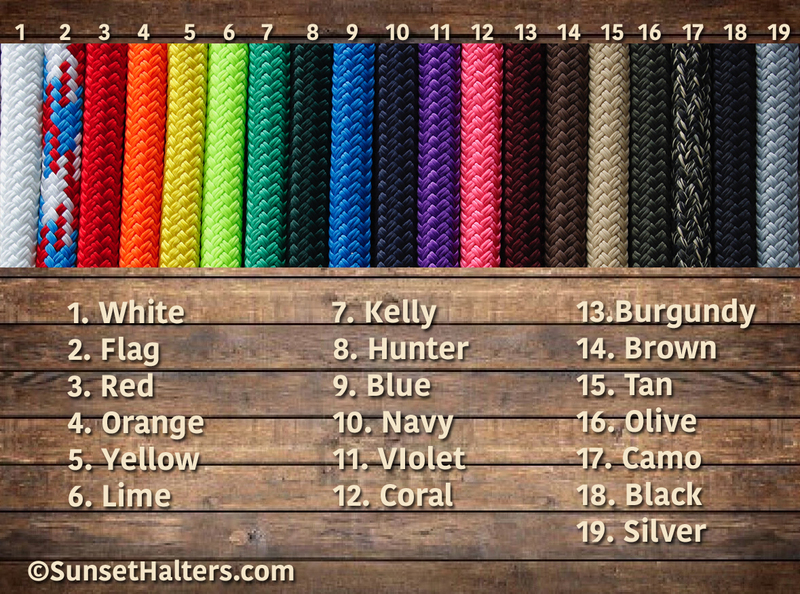 This top of the line yacht braid rope is made right here in Washington State, from premium polyester fibers. It has more 'feel' to it, making it a great training choice. Because each strand is made up of twisted fibers, it doesn't snag easily, and puts up with hard use, very well. 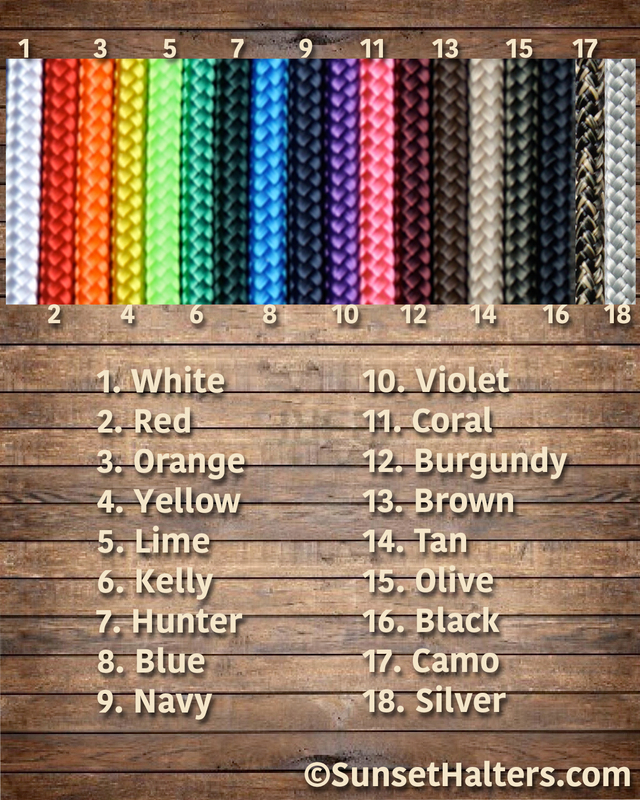 This rope is abrasion, rot, mildew, snag and fade resistant. 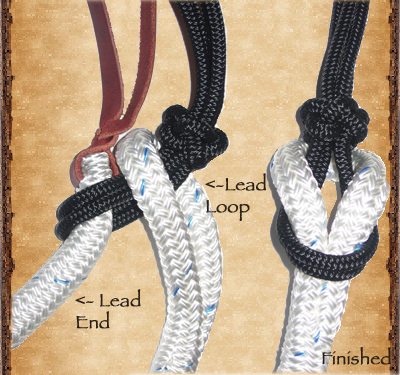 All yacht braid leads and lunge lines come complete with a spliced, hand sewn eye, and a spliced, weighted end with popper and decorative knot. Choose from snaps above- $4.25. 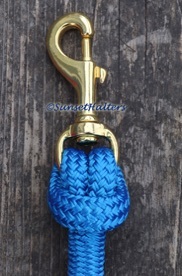 Our snaps are not 'hard spliced' into your rope- it's added after the splice. With the snap attached this way, it's very easy to replace the snap once it eventually wears out. 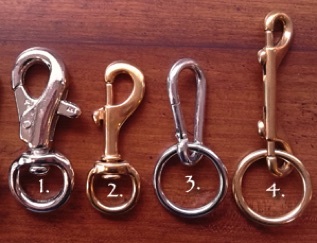 Which means it prolongs the life of your lead rope! 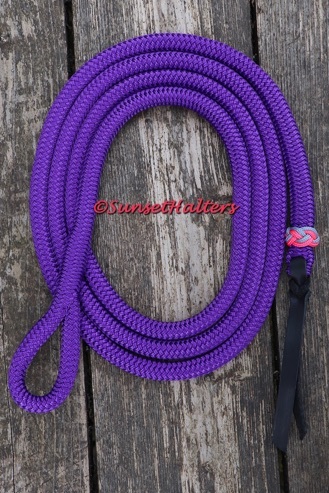 Rings are hard spliced into leads & lunge lines, as they don't have moving, breakable parts. 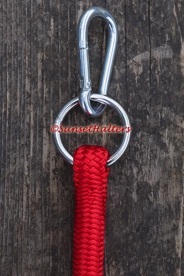 Click here, to customize your lead, by adding leather stamping to your popper.